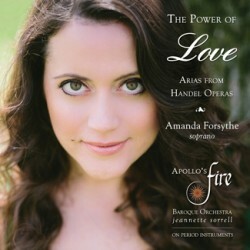 Love, angst and revenge are the timeless themes of Handel’s operas, as brought to vivid life in this recording by the acclaimed baroque orchestra, Apollo’s Fire. Grammy Award-winning soprano Amanda Forsythe, described as “simply dazzling” by The New York Times, joins conductor/harpsichordist Jeannette Sorrell to explore the gamut of emotions, from fiery coloratura arias to tragic laments. 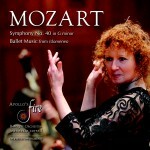 The recording includes rarely-heard arias and a few favorite chestnuts, drawn from eight of the composer’s operas.